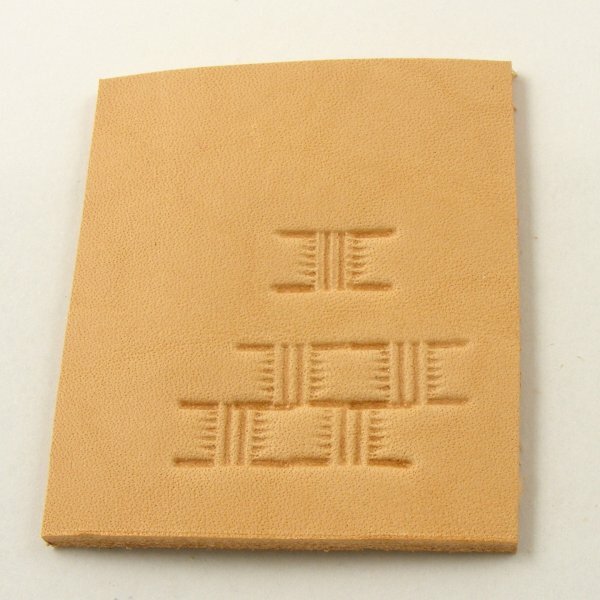 This leather embossing stamp is used to build up a repeat basket weave pattern. 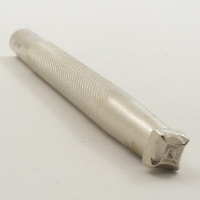 In the photo, you can see the shape of the stamp when used singly, and when reapeated four times, to give you an idea of the look you will get from this stamp,which measures just under 13mm x 7mm. 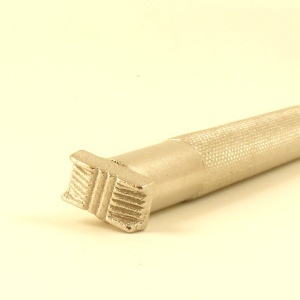 We also stock another basket weave stamp, which has a much smaller repeat to the pattern.